In the latest updates on Maharashtra state, the cabinet in the state has announced that it has decided to waive off Rs 34,000 crore farm loan in the state of Maharashtra. The official announcement was made under the leadership of Mr. Fadnavis, who is the Chief Minister of the state. The state government has already stated that the loan waiver scheme will be valid for the farmers through out Maharashtra state. Apart from this it is also certain that in the initial stages the farm loan waiver scheme will be made available for farmers who are having medium and small land holdings that is restricted to around 5 acres in measurement. It is also certain that any farmer in the state who has till date not defaulted in repaying back the loan amount and are having some loan amount pending in the present year are eligible for taking full benefit under the scheme. Under the new scheme implemented by the state government it is certain that the government aims at offering a relief of Rs 1.5 lakh each farmer in their debt amount. Apart from this the government has also made it very clear that any farmer who has been regular with repayment of the loan amount will also be able to get return benefit of around 25 percent of the loan amount. Under the scheme to make the process of implementation more effective for farmers the government has announced that one month salary will be contributed by the states MLA’s which will help waive off the loan amount for farmers. The scheme is also expected to offer relief to over 89 lakh state’s farmers including 40 lakh state’s agriculturists to overcome their debt burden. The state government has also announced that a special package shall be included in the loan waiver scheme for any farmer who has been repaying back the loan amount on regular basis in the past years. If you have applied for the CSMSSY then you can check your name in the official website now. They have uploaded a list of the names of the farmers who have applied for the scheme. You can now check your name by inputting your district, gram panchayat’s name or Nagar Parishad’s name and taluka. If any applicant wishes to get the application form online then you have to get registered with the official web portal https://csmssy.in/Farmer/#/ . The moment you get registered on the web portal you may find a link that shall redirect you towards the application form web page. Just click the link provided https://csmssy.mahaonline.gov.in/ and you shall be redirected towards a separate tab for application form where you may have to provide with your details required. It is also possible for farmers to get a copy of the application form offline. In case you are looking around for offline method then you have to look around for nearest CSC centre within your locality. You can approach any CSC centre within your reach and then request for the loan waiver scheme application form. You can also collect a complete list of CSC centers nearby your location from the official web portal. From the web portal you can get the link that will direct you towards the Yajana web page tab. You have to make the selection of 2017 – CSMSS Yojana. You shall be redirected towards the application form portal. The moment you are on the web portal you shall be able to access general procedure for operating, registration module and government resolution related to the scheme. You have to make the selection of New Registration tab that is just available under Login tab . The web portal provides you with both non-Aadhar and Aadhar based registration procedure. In case you provide with your Aadhar card number then you shall be provided with and OTP for verification. If you have selected non-Aadhar based registration then it is certain that you have to look around for Aadhar enrolment center for verification process. Once the process of registration has been completed then it is certain that you shall be provided with your ID and pass word. You have to use ID and PW to access the online registration form from the web portal. When filling the form you have to select waiver scheme form and then provide with all your details. You may have to provide with your PAN and loan amount related details. Once you have entered all the details then at the time of submission you shall be provided with verification alert. Once verified you can submit and take a printout for your reference. If you are not having online access to the application form for registration then you may have to try and visit the CSC center and then request for the application form. Online you can find a complete list of all CSC centre. You may have to log on to the official website using the web link . You may also find the direct link towards the scheme portal on www.aaplesarkar.maharashtra.gov.in. How to check my name Or Status? Go to the official website of the scheme – https://csmssy.in/ .This is the main website of the Chatrapati Shivaji Maharaj Shetkari Sanman Yojana. This will open the home page and there you will see a link that says “Link of Applicants” – usually this link is situated at the right hand side of the page. If you are unable to find this link, go to the page directly from here http://35.154.240.127:84/ . If the page does not load, try again after some time. A new page will open once this page loads. This page will ask you to enter your District, Taluka and Grampanchayat or Nagarparishad. You can reset the search with different credentials too. Simply enter the correct details and click on “Search”. Alternatively, you can click on “Export to excel” option at the bottom right. It will download the entire list on your device and it will be saved on your device for future reference – so you don’t have to visit this website again and again to obtain the list. You will have it on your PC or mobile phone itself. If you have searched your name and want to search the name of another applicant, then you can do so by clicking “Reset Search”. From there onwards all the steps are the same. How can I edit the application form? This website also permits you to edit the application form, in case you have made any mistakes in it while applying. All you have to do is login on the main portal (using your account ID and password). After logging in, you will see the entire application form that you filled out. You can check it out for any mistakes and then re-submit it as you did before. As per the official notification, a total of 46, 07,203 farmers have applied for this scheme. A 39, 28,529 one of them have applied for the loan waiver scheme on this portal whose last date is 31st August. So the website has uploaded list of names of those farmers who have been finally selected for the CSMSSY scheme. 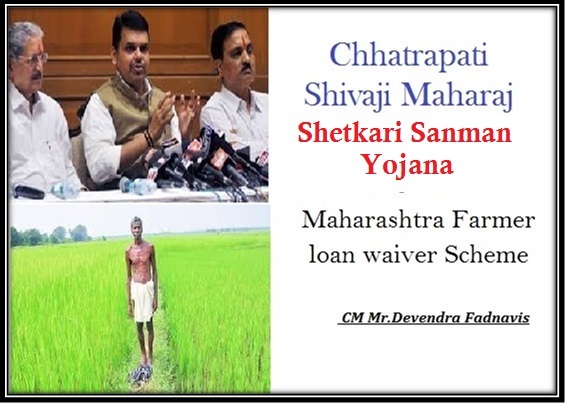 As per the latest updates from the Maharashtra state cabinet, over 4 lakh additional farmers in the state are expected to get benefit under loan waiver scheme.The benefits can be availed by farmers of the state who had opted for agricultural loan from nationalized and cooperative banks between fiscal year 2001 to 2009 under the CSSS (Chatrapati Shivaji Shetkari Sanman) Yojana. The Co-operation Minister of Maharashtra gave farmers of this state another good news on Friday. On 20th July 2018, Subhash Deshmukh official declared that state government is all set to launch a new farm loan waiver scheme. Under this project, the farmer as well as his wife can apply separately and receive credit waiver of Rs. 1.5 lakhs each. So, all applicants will be able to get as much as 3 lakhs credit waived off. The minister was addressing the press at Nagpur when he made this revelation. Direct Benefit Transfer Portal (DBTP) for Farm Loan Waiver by the Maharashtra Govt. A new online portal (https://dbtbharat.gov.in/stateut/?sid=Mjc= )will be very soon launched by the Maharashtra govt. which will help in provide loan waiver facility directly to the farmers of the state. This portal will be named as DTBP which will create a database regarding the loans of farmers and their waivers. This portal will not only be beneficial to efficiently distribute the loan waiver facility by the state govt. to the farmers, but also to eliminate instances of malpractices. The Hon’ble CM of Maharashtra has declared that the DBTP is in its final phase and soon will be rolled out in the state which will benefit thousands of farmers. Total expense to be borne by the state govt. for this loan waiver to farmers is around Rs. 36,000 crore. Online registration to this portal may be done by the farmers themselves. They may log in to this portal and register for the loan waiver by providing their credentials, income, land records, etc. To avoid any frauds, the Aadhaar cards of beneficiaries will also be linked during registration. Those farmers who have other source of income and perform tax filing for the same are not eligible for this waiver. Also farmers who are retired service holders with monthly pension of more than Rs. 15,000 are also ineligible. According to the statements made by CM of Maharashtra, it is certain that Mr. Uddhav Thackeray (Shiv Sena Chief), NCP head Mr. Sharad Powar and leaders of the congress party have also been apprised about waive off scheme proposal. Final decisions will be taken by the joined cabinet meeting of state’s ministers.